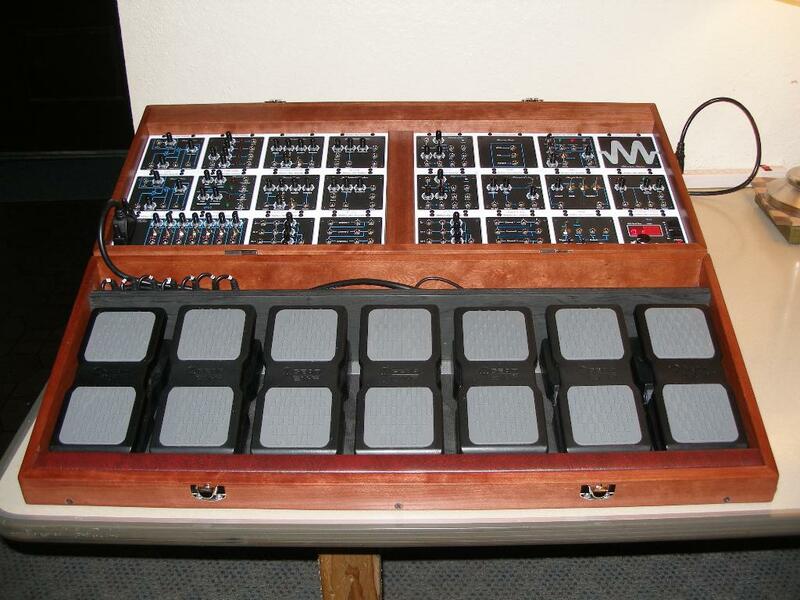 Wow, just saw this over at Matrixsynth. Preatty cool. I'd like to hear some demos of what the guy does with it. Preatty cool. I'd like to hear so demos of what the guy does with it. We'll post some stuff once we figure out something tasteful. It's kind of a new realm for both of us so, we're on a discovery path at the moment. I expect some awesome stuff. Jason is a hell of a fine bassist. That rig is a thing of beauty!!!! If it was to become a regular product I would name it "7 Feet Under"